At this year’s annual summit of the African Union, attending leaders declared 2015 the Year of Women’s Empowerment, in acknowledgement of the increasing role women are playing in Africa’s development. 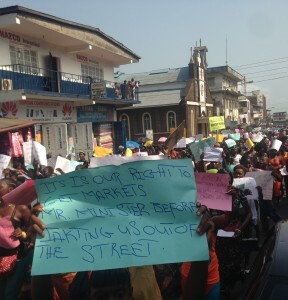 (Photo: Market women protesting in Freetown). The declaration comes as the continent prepares to kick-start the implementation of its 50-year development plan that was launched in 2013. Dubbed Agenda 2063, the plan is a pan-African vision that is expected to steer the continent towards “an integrated, prosperous and peaceful Africa, driven by its own citizens and representing a dynamic force in the global arena”. The declaration is also a display of AU’s renewed political commitment and support for the women’s empowerment and gender equality agenda. Critics have welcomed the move, but note that Africa must go beyond talking and match its words with concrete action and allocate appropriate resources if there is going to be any meaningful change in the lives of African women and girls. This will require a change from simply adopting policies, to fully enforcing existing pro-women policies and initiatives. A few days before the summit at the AU headquarters in Addis Ababa, Ethiopia, more than 200 women and advocates of women’s rights from all over Africa gathered, to reflect on progress, current gaps and emerging issues in implementing existing commitments to gender equality and women’s empowerment. Participants, including AU senior officials, recommended that 2015 should be “seized as an opportunity to focus on the implementation of practical solutions that will provide measurable results for women”. The emphasis on results is not surprising. Most African countries are signatories to many national and international policies and frameworks on gender equality and women’s empowerment, including the 1979 Convention on the Elimination of All Forms of Discrimination against Women (CEDAW) and the 1995 Beijing Platform for Action. In addition, African countries constitute a third of the countries with national action plans designed to implement UN Security Council Resolution 1325 on women, peace and security. Furthermore, the AU has an institutionalised gender platform that is charged with transforming gender policies into action. Yet measurable results from these policies have been uneven, inconsistent and painfully slow. This poor scorecard has been attributed to existing patriarchal culture in African societies as well as attempts to renegotiate existing commitments and policies on gender, and more importantly, lack of resources. 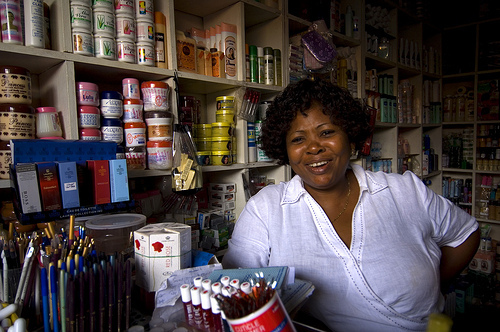 Many gender experts say that for Africa to achieve its goals on women’s empowerment, there has to be effective enforcement of current policies, requiring a shifting of mind sets and the allocation of more resources. The focus should also be on areas where there has been the least progress, including agriculture, economic empowerment, health and peace and security. 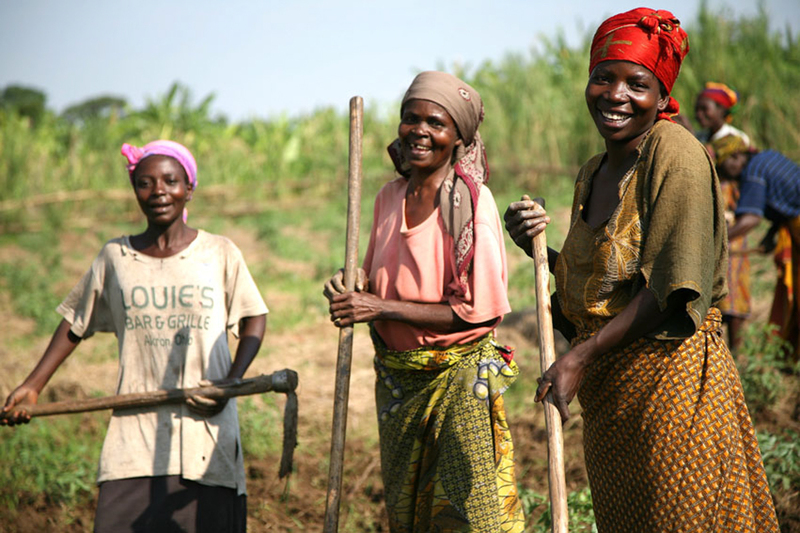 African women want the commemorative year to focus on enhancing women’s ownership of land and access to environment-friendly technology. They want AU members, in collaboration with the African Development Bank and the private sector to establish a special investment fund for women and young girls, to be used for venture capital financing. Finally, women want the proposed roadmap for the implementation of Agenda 2063’s flagship project of silencing all guns by 2020 to include their participation in conflict prevention, resolution and post-conflict peacebuilding, as well as an end to all forms of conflict-related sexual violence. And, because their traditional care-giving role exposes them to greater pandemic-related risks, African women are demanding to be included in formulating and implementing public health policy. Ecoma Alaga and Ndidi Anyaegbunam are programme officers in the UN Office of the Special Adviser on Africa.